With the aging of America, more and more people are less able to take care of themselves and their affairs. In most situations, family, friends, for-profit corporations and social organizations provide the care and guidance that elders need and deserve. However, when friends and relatives cannot provide adequate care, and the elder cannot provide for himself or herself, the decision may be made to place them in a nursing home or assisted living facility. Unfortunately, in a growing number of cases, elders are being abused physically, emotionally and financially, while under the care of a nursing home or assisted living facility. In addition, elders may be abused in their own home by hospice employees or assistance nurses. 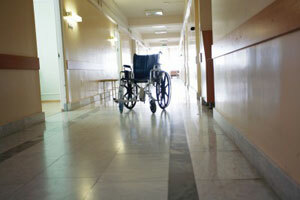 Nursing home neglect and abuse falls into two categories, intentional harm and neglect. Intentional harm includes physical attacks, sexual assaults, emotional abuse and financial abuse. Neglect includes failure to provide for basic needs which can result in dehydration, malnutrition, medication overdoses, falls, infections, bedsores, pressure sores, skin ulcers, decubitus ulcers, osteomyelitis, septicemia and gangrene. Conduct a comprehensive assessment that describes the resident's capability to perform daily routines. Many nursing homes FAIL these requirements!